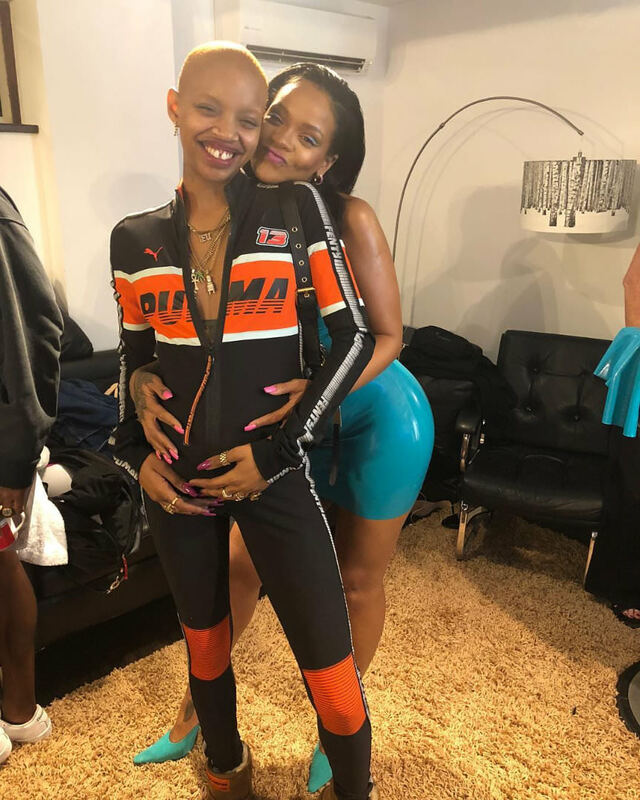 It’s no secret that Rihanna loves model Slick Woods. Woods has walked the runway for Fenty x Puma and featured in ad campaigns for both Fenty Beauty and Savage x Fenty. On August 27th Rih posted a photo of her with the pregnant model. I couldn’t see enough of Rih’s blue latex dress to make a positive ID but I can tell you about those shoes. The shoes are from Dorateymur‘s upcoming resort collection. The brand kindly shared a photo of these Groupie mules with Haus of Rihanna. As you can see, they are blue suede with a pointed toe. The superstar previously wore Dorateymur shoes to her own 2018 Met Gala After-Party.